Two explosions went off near the US Yokota Base in western Tokyo last night. Police believe the attacks may have been extreme leftist groups. Two explosions were heard Thursday night near the U.S. Yokota base in western Tokyo, prompting police to set up a special investigative team. The Metropolitan Police Department’s Public Security Bureau suspects that the incident was an attack by extremists, officials said Friday, though no damage to the base was confirmed. 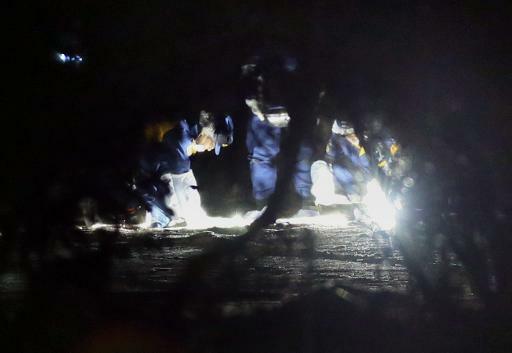 The incident happened on a field near the base a little after 11:30 p.m. Nearby residents called the police, reporting what sounded like guns being fired. …There have been no claims of responsibility, but police believe it may have been a guerrilla attack by extreme leftists, Jiji Press and other media said. Broadcaster NTV reported police were concentrating their investigations on the Revolutionary Labourers’ Association Anti-Majority Faction because the incident came just hours after they arrested a top-ranking member on Thursday. Japanese officials reported the remnants of IED’s in the area near the base. Two explosions were heard near the US Air Force base located near the Japanese capital of Tokyo. Japanese police and US officials reported that remnants of two IED’s (Improvised Explosive Device) had been found in the area.